There was everything one can dream about for 2-3 day stay. Convenient kitchen. Comfortable beds. Clean and useful bathroom. Well equipped. Pleasant colors. 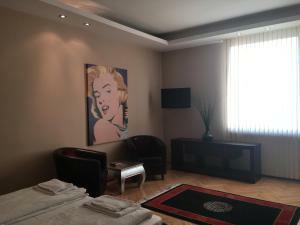 The biggest advantage of the accommodation was a great location in the city center. The price for this type of accommodation and the location was fair enough. A good facilities to prepare breakfast. very good location. 2 minutes work to subway/bus station. 5 minutes to down town. Location is good but very quite area. Price is reasonable. Kitchen is useful and Washer is working well. 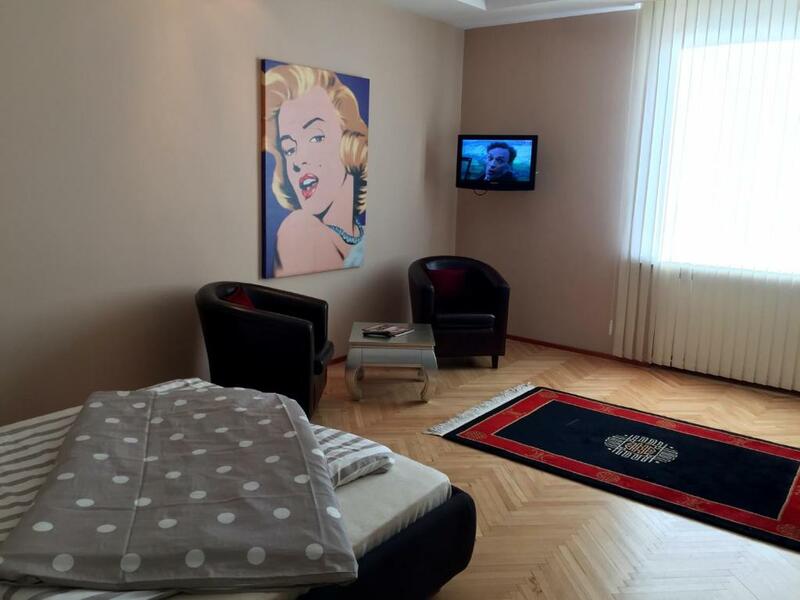 Nice apartment in a very convenient place near the city center for an attractive price. For three person we could not have better choice. Spacious flat, good location, quite modern furniture. 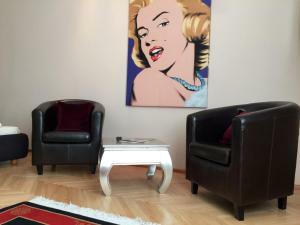 Apartment looks exactly as the pictures, amazing location, waking distance to attractions, train and restaurants. Clean and host was very responsive. 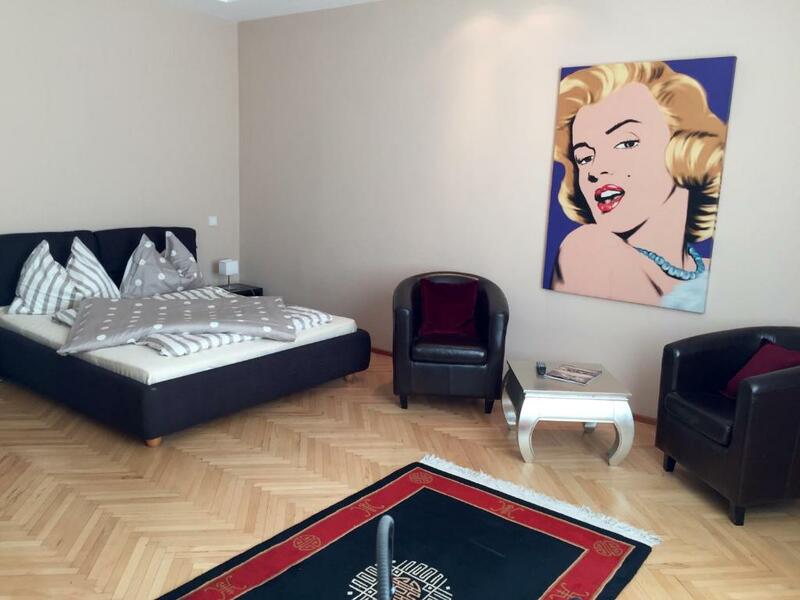 Set in Vienna, this apartment is 350 feet from Vienna State Opera. The property features views of the city and is 650 feet from Albertina Museum, 1,650 feet from Hofburg and 1,950 feet from Spanish Riding School. Karlsplatz Metro Station is only steps away. 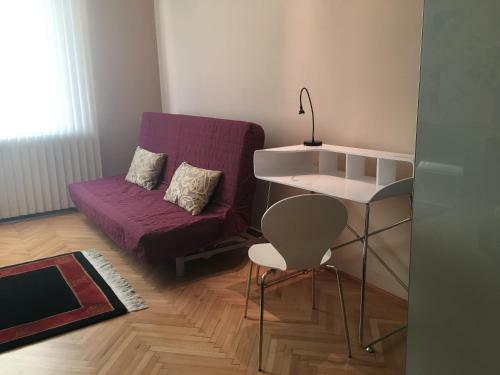 Heart of Vienna "Opera House" Studio is located in a classic Viennese building and features a fully equipped kitchen, a TV with satellite channels and free WiFi. Many restaurants and shops can be found in a vicinity. The nearest airport is Vienna International Airport, 11 mi from the property. 뀐 Located in the real heart of Vienna, this property has an excellent location score of 9.5! 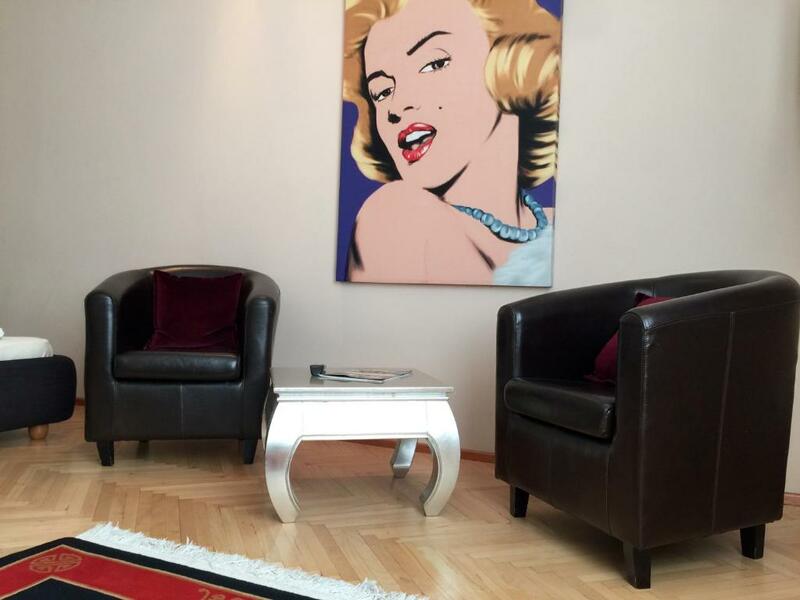 When would you like to stay at Heart of Vienna "Opera House" Studio? This studio apartment comes with parquet flooring, a double bed, a TV, armchairs, a desk, a fully equipped kitchen with a microwave, a dishwasher, a washing machine and a bathroom. Heart of Vienna Apartments are apartments in the very city center. They are located in the residential house right 200meters away from Stephansplatz (maybe the most famous and touristic place in Vienna). All apartments are clean, cozy, comfortable! The neighbourhood is extremely interesting. Most important Vienna Sights, best restaurants and cafes, most shops, bars and supermarkets are nearby. If you will need Subway, all Subway lines are max 5 minutes walking from the Apartments. Welcome ! Area Info – This neighborhood is a great choice for travelers interested in culture, architecture and museums – Check location Excellent location – show map Guests loved walking around the neighborhood! House Rules Heart of Vienna "Opera House" Studio takes special requests – add in the next step! Heart of Vienna &quot;Opera House&quot; Studio accepts these cards and reserves the right to temporarily hold an amount prior to arrival. Heart of Vienna "Opera House" Studio accepts these cards and reserves the right to temporarily hold an amount prior to arrival. Please note that this apartment is located in a residential house. There is no reception. Please inform the property of your estimated time of arrival at least 1 or 2 days before arrival, and inform the property about any changes to it. Please note that smoking is not allowed. An additional cleaning fee of EUR 300 applies if this rule is violated. Please inform Heart of Vienna "Opera House" Studio of your expected arrival time in advance. You can use the Special Requests box when booking, or contact the property directly using the contact details in your confirmation. The bed seems to be slumped to one side and the TV was not connected to any antenna or Netflix. Because of the location - really noisy area during the night. I had ordered accommodation for three people, but the apartment was ready just for two. The apartment was dirty, dust was everywhere and there was hair on the floor. The window can not be closed, the TV doesn't work, worst of all is that we paid an additional 48 euro for cleaning (it was not clearly stated on the site that a cleaning fee had to be paid), but nothing was clean. wifi was not working, TV not working, window broken. there is everywhere dirty in this appartment ! - on the floor, bed, sofa, in kitchen, in garderobe, in wc etc. We must clean it ourselves before we use it. For example there are still used (wet) towels hidden in wardrobe! I never met such thing before in any other hotel/hostel in any countries! The only window in the bed room just can be flipped. There is no windows on the other side (wc, kitchen, bathroom), so it smells very bad and we must use fan for airing all the time. Besides if you have big luggage it's difficult to transport it, bcs you need go through 3 doors and several stairs up and down to reach the tiny elevator (ca. 1 m2). I would never book this appartment again and would not recommend it. Non refundable facillity even made reservation earlier. There are dirty towels in closet. The room was too dark. We cannot read any in room so we had to sit on kitchen high chair at night. Most of light bulbs were broken. Check in and check out time could be more flexible, as we arrived early morning and left late evening, Travelled 2 x half of days with cabin bags. I do not like that price visible on booking.com not the same as a total price ( additionally appeared cleaning of the room). I prefer to see total price. I do not expect that room should be cleaned during 5 days but at least gabrage should be removed ( or we should know how and where to do it.) And it was really hot in the apartment. Location is perfect, apartment very good. there was no oven, it was dirty, the TV was not working, the couch was broken. The cleaning fee was the most expensive I've paid, however the apartment was the dirtiest I've stayed at. Especially the couch and the carpet. We could not use TV. And of course inconvenience with WiFi. We have to go out to cafe for internet connection.